Wanna see some interesting art and performances this summer? 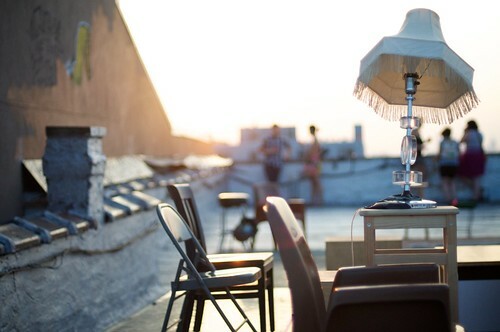 Head over to Bushwick, where you can browse some art, watch a dance performance on the roof, and get your groove on at the rooftop after party. Next show will be tonight (7/17) – see map for details and checkout some more photos of past performances. ~ by mrpatrickblog on July 17, 2010.
what an interesting image, it’s really great. I love the crooked lamp shade and how the background is a bit washed out by the light. excellent.